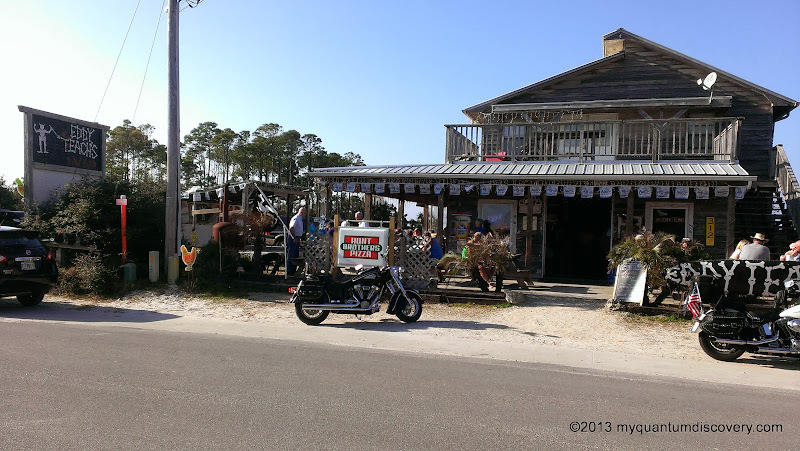 After our 8 mile bike ride around St. George Island State Park, we were ready for some sustenance and could perhaps be coaxed into imbibing in an ice cold beer. 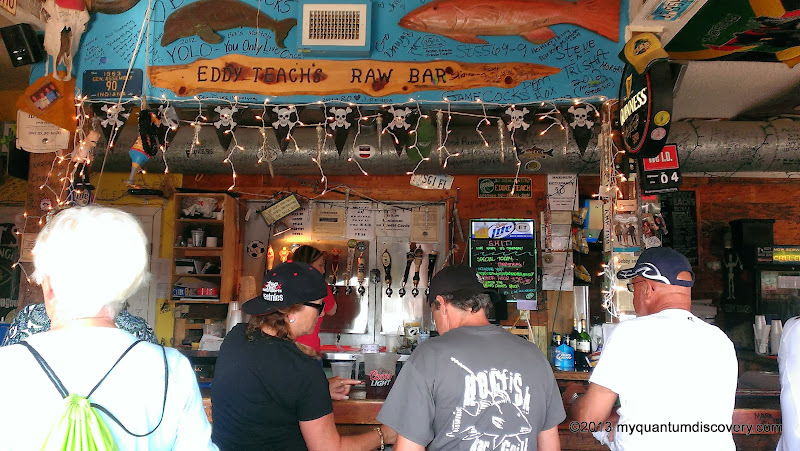 After all, those ham sandwiches tasted great but weren’t all that filling, so our next stop on our tour of St. George Island was Eddy Teach’s Raw Bar. When he told us about it, our neighbor, Lee had warned us that it looked like a dive and yep, it sure did. Hmmm, you might be thinking that name Eddy Teach sounds familiar. As the decor implies, this restaurant is named after Eddy Teach, aka Blackbeard, from the 1700’s, the notorious (although surprisingly non-violent) English pirate. Raw bars are pretty common in the area especially along Apalachicola Bay where the biggest industry is harvesting seafood, especially oysters. Apalachicola Bay is known as Florida’s oyster paradise – it produces over 90% of Florida’s oysters and 10% of the nation’s supply. The Apalachicola Bay and the Apalachicola River meet in the eastern Gulf of Mexico, creating a mixture of salt and fresh water which is an ideal nursery for oysters, shrimp and crabs. Arriving at Teach’s around 3:10 pm, it wasn’t very crowded – we grabbed two bar stools (in the shade vs. the picnic tables in the sun) at the outside bar. Interesting decor, practically every inch of the place was covered with something or had writing on it – the bar, the walls, duct pipes, the ceiling, the picnic tables, everything except the people! We didn’t realize (at least I didn’t) until the bartender came over that happy hour would begin at 3:30 pm and would last until 4:30 pm. 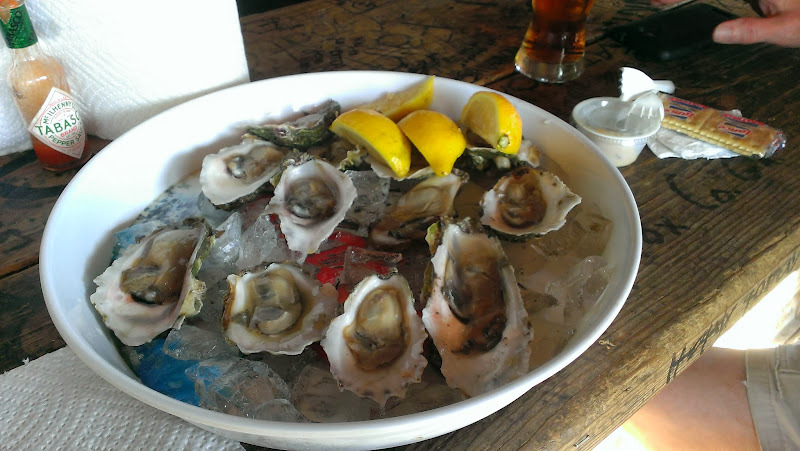 This daily event (except Saturdays and Sundays) features raw oysters at half price (normally about $12). After hearing that we weren’t interested in raw oysters, the bartender told us that cooked oysters were not half price (darn) and handed us the menu which had a variety of cooked oysters listed. At her recommendation, we decided on the The Scooter ($11) which was a dozen cooked oysters topped with garlic and asagio which we were confident would taste good downed with two draft beers. While sitting at the bar, we watched two guys off to the side furiously shucking oysters, prepping for happy hour and the onslaught of raw oyster orders that were about to hit, putting a dozen each on ice in round metal trays. With happy hour still about 15 minutes away, they had quite a stack of oyster trays ready. I wonder how many oysters they shuck each day? After a short wait, our Scooter tray arrived, served with saltines and accompanied by two large squeeze bottles of sauces, one was the usual cocktail sauce and the other was some type of horseradish sauce. The oysters were tender, plump and obviously very fresh. We didn’t bother putting any sauce on the oysters – they delish without it, but both sauces tasted great on the crackers. 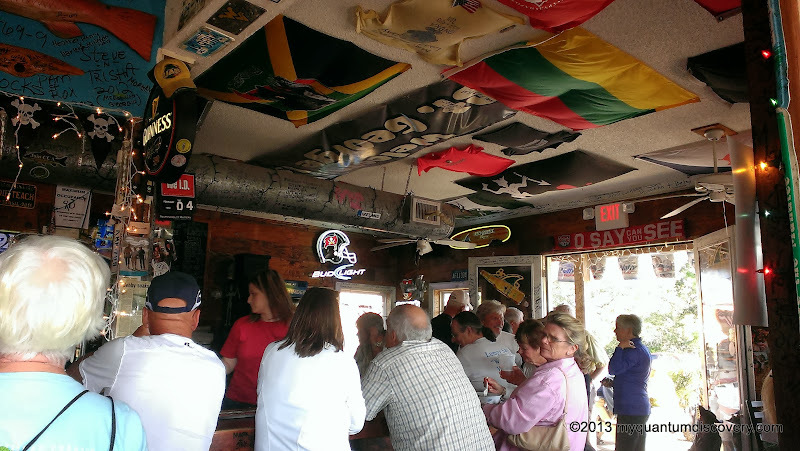 More and more people were arriving until all the outside tables and the bar were full – it was standing room only. Definitely a local hangout – everyone seemed to know everyone else. At 3:30 pm, a gong sounded, someone yelled “happy hour has begun” and all the regulars were off and running to where the guys were shucking, each grabbing a tray or two of oysters. After the first 5 minutes of happy hour, all of the pre-shucked trays of oysters were gone and there was a wait, people were given numbers as they ordered them. While we were sitting there, a guy sat down on the other side of the bar so he was facing us. 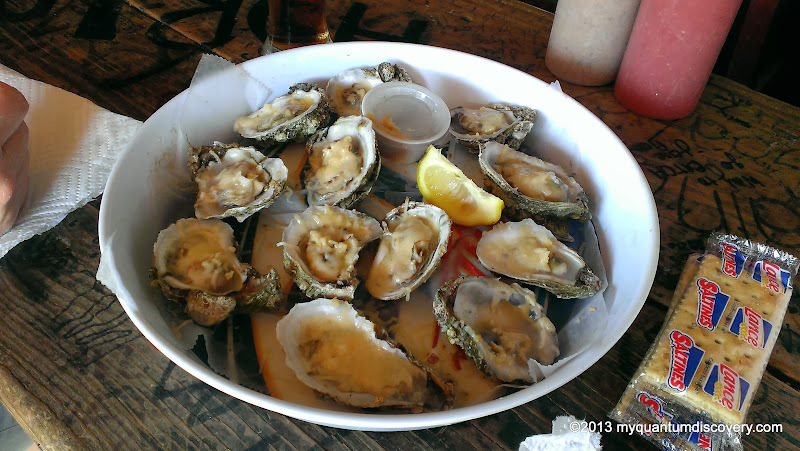 As he consumed his tray of raw oysters, we struck up a conversation. Turns out he was originally from New Jersey but a transplant to Colorado and was a work camper here at the St. George Island State Park campground where he was staying from October until May. Interesting conversation about work camping and RV’ing in general. He was a regular at Eddy’s and seemed to be familiar with the oyster industry in the area, explaining that Eddy’s gets their oysters each day right off the boat. After he finished his oysters, he left. Enjoyable conversation! The last time we had raw oysters was at MacWorld in Boston in 1997. At the time we worked for Codex (eventually became a division of Motorola) which had one of the biggest Apple MacIntosh and Appletalk networking installations in the Northeast. Rob and I were invited to one of the after show parties at the Boston Museum of Science – the entire museum had been rented for the affair by the vendor that was wining and dining us. That vendor was Cayman Systems who made a router (Gatorbox) that we bought hundreds of. What a spread! Open bar, tables with shrimp, raw oysters, stuffed mushrooms and every other hors d’oeuvre you could think of. It was quite the night! Those were the good old days! I believe it was Jonathan Swift who said “He was a bold man that first ate an oyster”. When you look at some of the foods that we eat, don’t you wonder who the first person was who thought it was a good idea to put it in their mouth? Anyway, it was there at MacWorld that I became bold and tried my first raw oyster (Rob had had them before). They were good but I never added them to my favorite food list since we both had concerns about the risk of Hepatitis A caused by eating raw shellfish from polluted waters so we tended to stay away from the uncooked variety. I guess watching everyone else slurping away eating them or maybe it was because we learned how fresh they were or maybe it was the fact that we thought the waters there were clean and not polluted. Whatever the reason was (or perhaps lack of reasoning), we decided to try a dozen uncooked. I do have to say that they were tender, fresh tasting and very good although I’m obviously not a connoisseur of raw oysters and can’t say that oysters from one area are better than oysters from another. Not with only two tastings 17 years apart! All oyster-ed out, we finally left and headed back to the hacienda. After talking to our neighbors Denise and Lee for a bit, we sat outside enjoying the final vestiges of the day. I was happy since we had eaten so late, I didn’t have to cook supper! That’s always a good day! Things were fine until the next morning when Rob told me he woke up about 3 am and having just experienced a very unpleasant norovirus a few weeks prior, decided to Google raw oysters. By the worried look on his face I could tell the results he found were not good. It’s always nice to be informed but sometimes having access to all sorts of information is not a good thing! 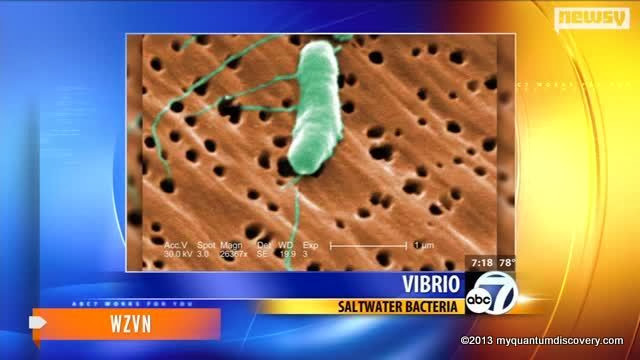 According to an article by the FDA, besides Hepatitis A and Norovirus, there is a “bacterium, Vibrio vulnificus formerly unbeknownst to us, that occurs naturally in warm coastal areas, especially the Gulf of Mexico where the water is warmer. This FDA article also disputes several myths about raw oysters such as the myth that Lemon or hot sauce will kill any bacteria present – it doesn’t. 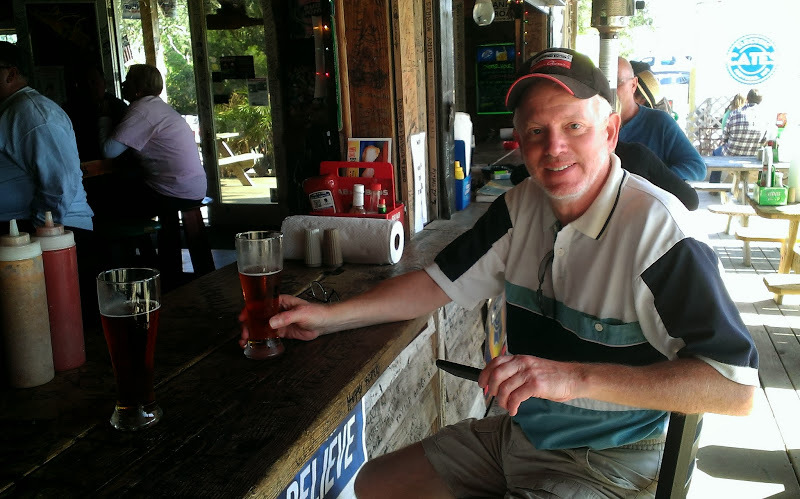 Rob went on to say that he found an article in the Huffington Post about a man who died a slow and painful death from the bacteria after eating two raw oysters (his wife had 10 but didn’t get sick) in Panama City in February of 2013. Another victim ended up needing a liver transplant. In September of 2013, another article stated that the oyster beds as far north as New England and Oregon had been shut down due to V. vulnificus. They speculate that climate change has pushed the bacteria north of the Gulf of Mexico due to the northern waters getting warmer. In a report by Food Safety News in October of 2013, a tally of the number of V. vulnificus cases reported by the Health Department in Florida since 2008 is given with the comment that the CDC feels that V. vulnificus is the most under reported foodborne pathogen. For every case that is reported there are 142 cases that are undiagnosed. The report cites 53 deaths of Florida residents alone since 2008 due to V. vulnificus. In fairness to the oyster, you can also be infected if you have an open wound and you come in contact with the bacteria in warm waters. Needless to say there was no hope of any more sleep for Rob. In an article I found from the Apalachicola Chamber of Commerce, the following statement is made: Apalachicola Bay is designated a Class II Shellfish Harvesting Area, one of the highest standards for water quality in the State of Florida. The waters of the bay are regularly tested for any type of harmful bacteria by the Florida Department of Environmental Protection and National Oceanic and Atmospheric Administration (NOAA), and the Florida Department of Agriculture, Division of Consumer Services. Although that statement is a little reassuring, it seemed a little vague to me so I tried to find more information about specifically what types of bacteria they test for and how often they test but I didn’t have much luck. Of course, there are lots of people who will continue to eat raw oysters figuring that the risk is very small and obviously that’s their choice. 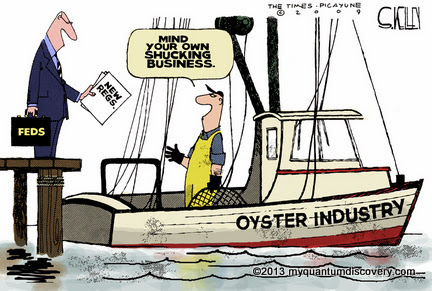 But will we ever be eating raw oysters again? Nope, we’ll pass thank you very much! To us it’s just not worth the risk no matter how insignificant! Particularly for Rob who has a lifelong, presumably genetic, abnormal liver condition. We’ll stick to the cooked versions which are just as tasty, if not more tasty than eating them raw! Sounds like a great day until those nasty micro-organisms had to make an appearance. 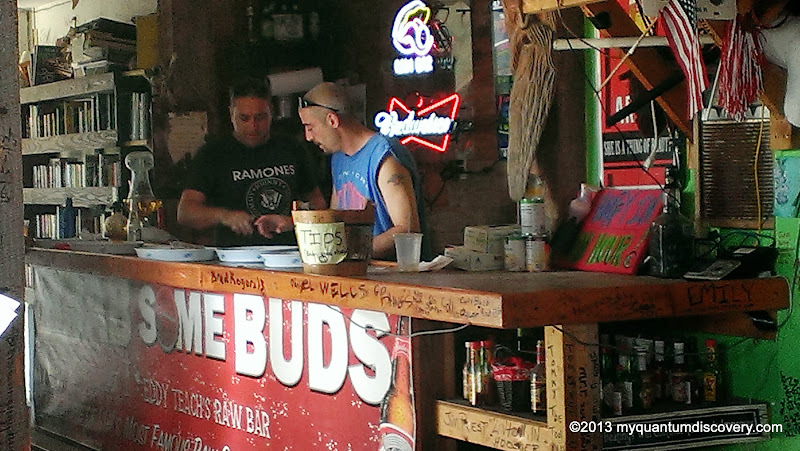 I guess if people keep coming back for happy hour, that’s a good sign (they’re still happy after eating raw oysters). Great writeup! Thanks! Just to be clear I didn’t get sick from any Oysters, I was just worried that I might! My mouth is watering for raw oysters after reading this! (and you know I probably shouldn’t eat them). Appalacthee!!!! Yes, you probably shouldn’t but we know you will and you’ll enjoy each and every one!